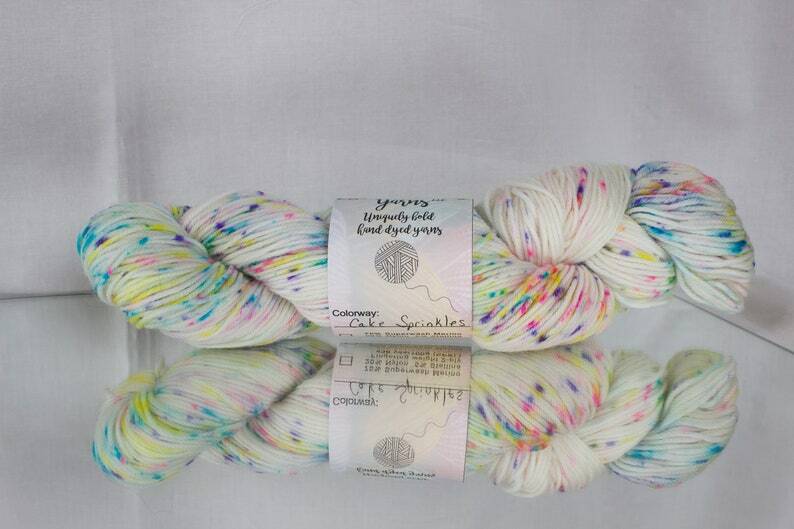 My Cake Sprinkles colorway is a cute speckled yarn showcasing pink, yellow, turquoise and purple speckles. 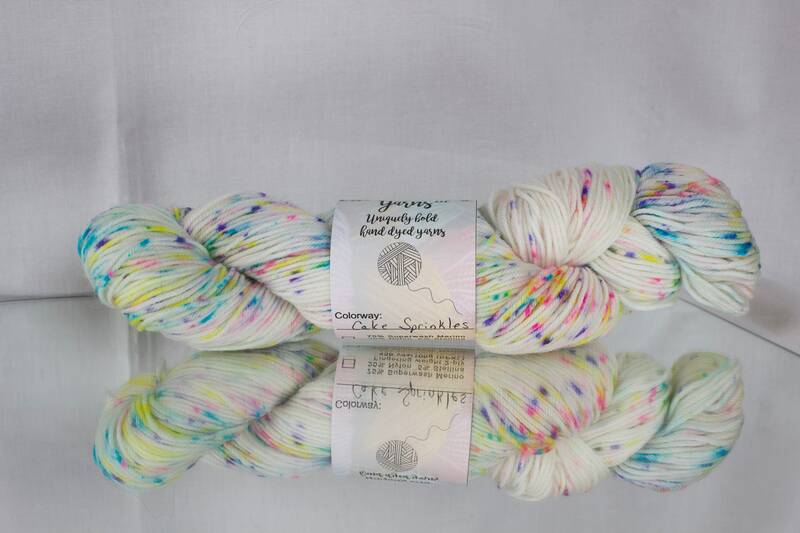 This colorway makes me think of a birthday cake! The yarn is very squishy and a dream to work with! ---- 100% superwash merino wool and 100g (3.5oz) and 218 yards (199m). Gauge is 4-5 st/inch. ---- 75% superwash merino wool/25% nylon and 100g (3.5oz) and 245 yards (224m). Gauge is 4-6 st/inch. ---- 75% superwash merino wool/25% nylon and 100g (3.5oz) and 463 yards (423m). Gauge is 7-8 st/inch. May be washed in machine on gentle cycle and laid flat to dry for best results. The yarn dyeing is done at home which is pet-free and smoke-free. 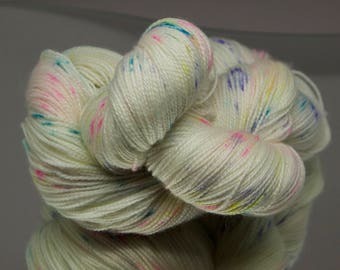 Due to the nature of hand-dyed yarns being unique, the skein you receive may vary slightly from the photo shown. If you have questions about the skein, contact me and I will answer any questions you may have. Squishy, squishy -- it's going to make marvelous baby things! Beautiful yarn, super fast shipping. Birthday gift for my daughter, and she will be very happy with it. This bag is very nice. Good construction, good size and very pretty fabric. The mini’s are very pretty. Shipping was super fast! Love it!